What all does it mean to “Be Family”? What does it mean to be family to you? At PHA we often say that through our Transition Program we strive to “Be Family” for the kids in our ministry. Sometimes that means a hug and a shoulder to lean on. Sometimes it means food, clothes, and a roof over their head. 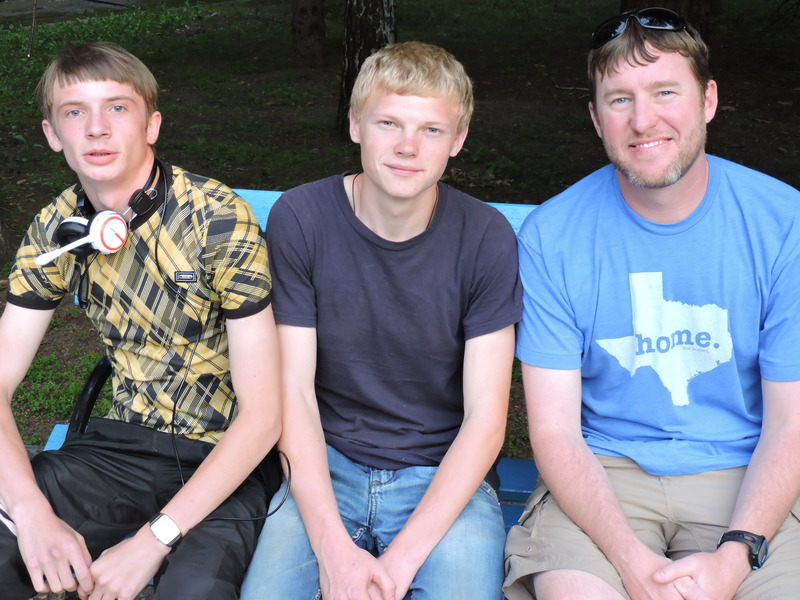 Sometimes it’s offering guidance and encouragement through the trials of life and there are certainly many for orphans in Ukraine. All these things we foresaw when we started this program and we planned to deal with them as best we could. What has been truly amazing is all of the unforeseen parts of being a family and these are the things that really make you look in the mirror and hit your knees. These are the things that test our young family bonds. We need to “Be Family” when our orphan kids go to jail for terrible decisions. Teens are teens in all countries and just like in America, Ukrainian teenagers are not known for their decision making skills. They often lack maturity and forethought. This is amplified when children grow up in situations where all decisions are made for them. Where they rarely learn responsibility. We need to “Be Family” when they show up at our doorstep with nothing in tote but their new baby. When they don’t know how to cook or clean a home they certainly don’t know how to raise a child. When they are overwhelmed and not even able to care for themselves let alone a child. Trying to help them make the best decisions to move forward after many bad decisions is a huge part of this work. We need to “Be Family” when we often play catch up with medical care that has been neglected for years due to the lack of resources. Orphanage funding for dental work, broken bones and other health items are often in a great shortfall. We need to “Be Family” when we find ourselves paying to bury birth parents because there is just no one else to do it. No child should have to think that their parents were just discarded like an animal. So we make sure that the one person who should have made certain that this precious child of God never had to see the inside of an orphanage gets a proper burial. But is that truly any different from your family? You stand in the gap during their time of need and you sacrifice so they don’t have to. Thank you for “Being Family” to these children through all of your prayers and financial support. We thank God that He gives us the opportunity to show His love and share His word.